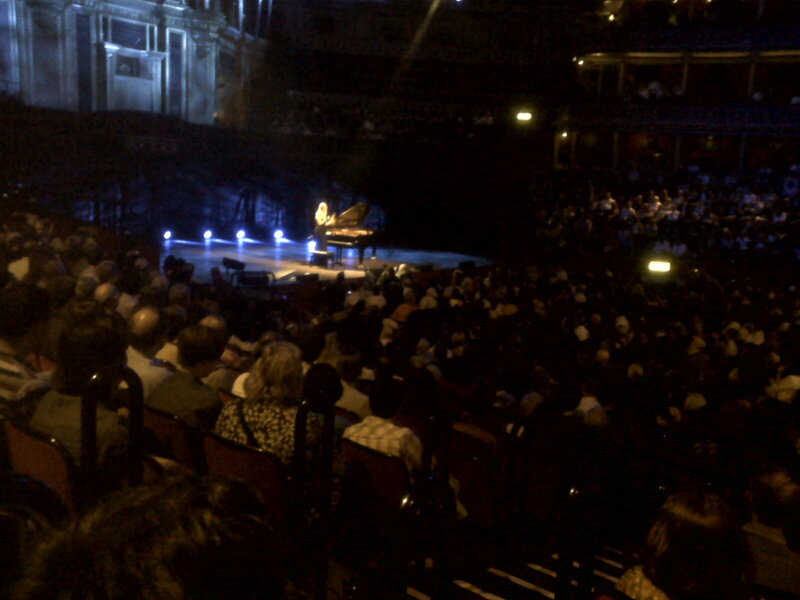 Last night at the Royal Albert Hall, Ukrainian pianist, Valentina Lisitsa (pictured above from my seat! ), was given her chance to wow the London crowds. Did she succeed? You can read my review here. I am sure you will know by now, if you have been reading my blog (and no doubt those of many other bloggers too), that Lisitsa has been labelled a YouTube sensation. She famously set up her own channel in 2007 and has received more than 44 million hits through her own self promotion. After landing a deal with Decca, she has how been given the opportunity to perform on the world’s major stages. Here is La Campanella by Liszt which was one of Valentina’s encores at the RAH. Enjoy!